This project had been on my mind for several years and I was unsure whether a simply ray tracing program would be sufficient. 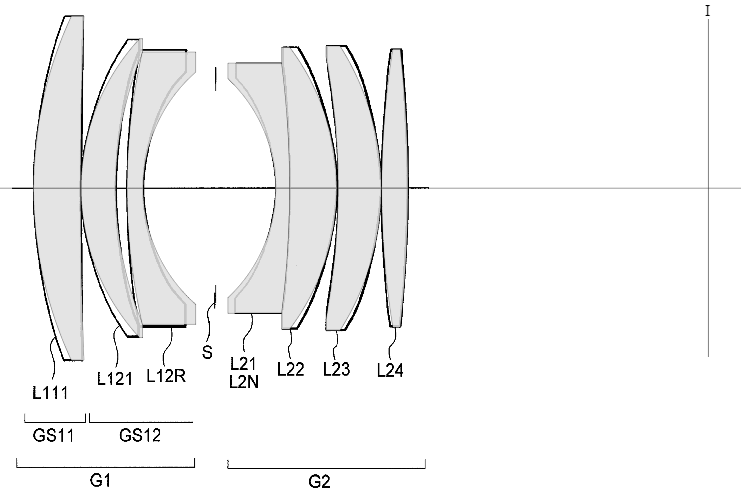 To start I entered data for a 50mm Nikon lens from US patent 8,934,182 B2 Example 2. The line marked with an "I' indicates the image plane; the object plane, not shown, is labeled with an 'O'. 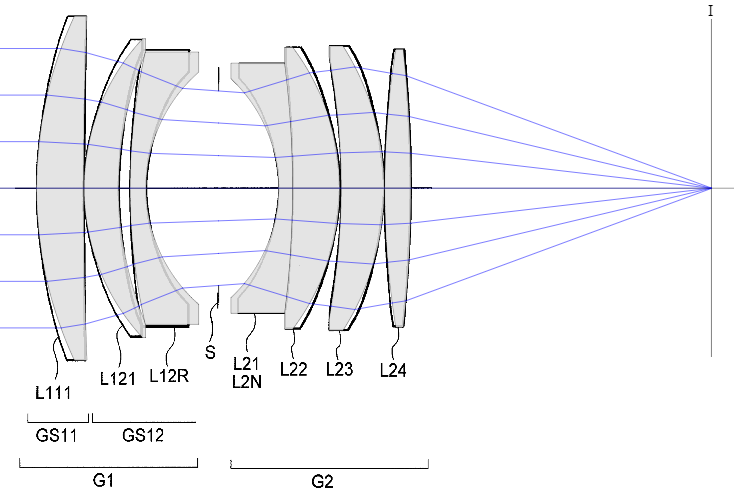 The black figure in the background is an image from the patent and the gray shapes are the lens elements as drawn from the specification. Not perfect but I have since learned that the figures shown in the patents are not entirely accurate but only serve as a guide to the reviewer. Let's feed rays on the optical axis from infinitely far away into the lens from the object side. 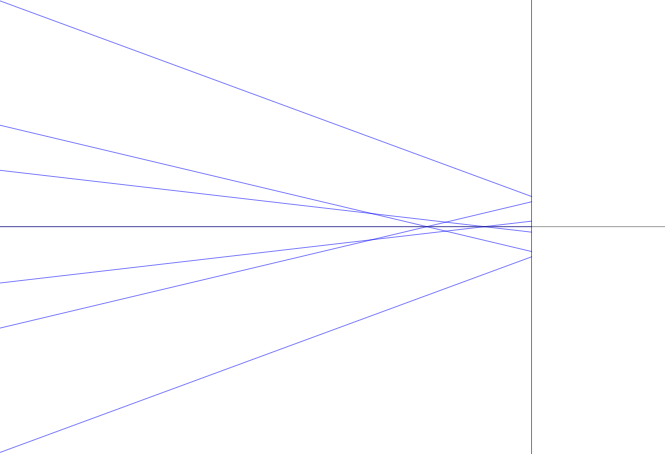 Since by convention the object side is always on the left and the image side is always on the right these rays will appear as parallel lines coming in from the left. The rays focus to a point at the image plane as specified in the patent data; great. These imperfections come from the paraxial approach of our unsophisticated ray tracing. Despite these minor errors it appears that the ray tracing approach works.